Our Bick Iron is drop forged and hardened. It is 8" long x 1" wide. It is classically shaped, with a flat elongated triangle shape on one side with a tapered rounded end on the other. For use in a standard stake holder. Our bick iron T stake is formed to produce the finest quality, extremely dense with a smooth and very high hand polished surface. 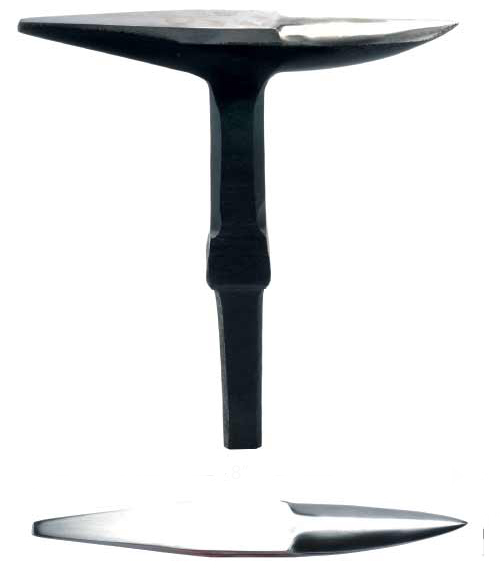 Drop forged stakes are far superior to cast iron stakes in overall quality, as cast iron stakes can have surface porosity that lies beneath the surface, only to be uncovered during use. Drop forged stakes are solid.